Your gifts, both large and small, will help us to achieve our mission of guaranteeing a world class education for every Millard student. 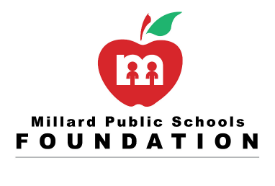 Thank you in advance for your generous support that allows us to make a difference in the lives of Millard students and their families each year. Click here for additional ways to give.